1. You should have a right glass when drinking champagne. Tulip shaped. I wonder if there are any picnic-safe plastic ones available. Otherwise, if you pack some real table ware, opt for the glasses (the mini-sausage will taste the same from a plastic plate). 2. Don’t drink the champagne too cold. If you have had it in the ice bucket, its too chilled. Take the champagne from the fridge, wait 5 minutes, then pour. Perhaps if you are on a picnic, you can use one of those wine-cooling sleeves to keep an optimal temperature (or if it is below 8C, the outside weather is enough to simulate a fridge-temperature). It’s better to pour a little bit at a time and refill to make sure the champagne does not get too warm in the glass. 3. When it comes to food, Champagne goes well with food that has salt, fat and acidity. Avoid bitterness, sweetness and spiciness in foods and if using vegetables pre-cook them instead of having them raw. For a picnic some nice charcuterie, creamy Pata Negra and salty ham will fit well with the acidity of champagne. Perhaps even those mini-sausages can be a good pairing, at least of you spice it up with some humor. 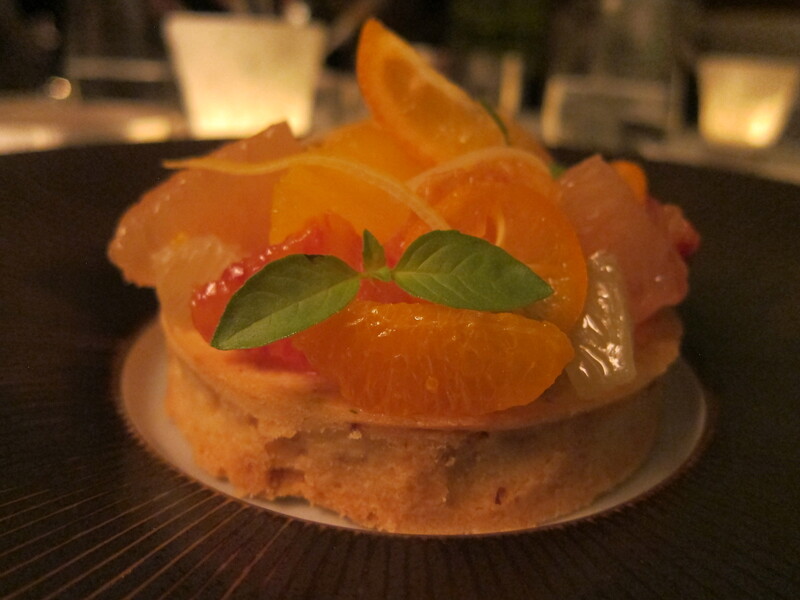 Our recent trip to Paris, not surprisingly, entailed a lot of nice food and wine. 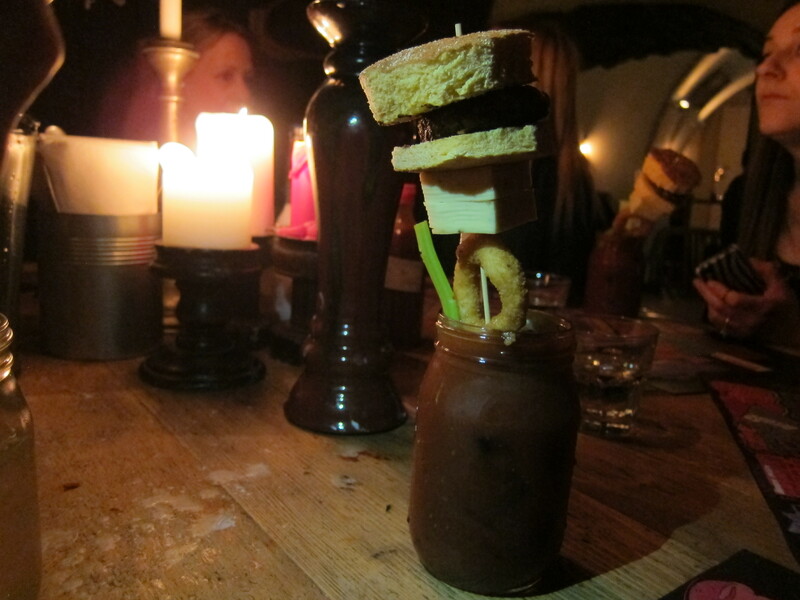 We have already reviewed the excellent Frenchies Bar a Vin but we did also visit other places. On the day we arrived we wanted something close by the hotel so opted for Vivant Cave for dinner. It is a very narrow small space where the bar takes up a large part of the entire premises and behind it the chefs are working on creating the nice small or mid-sized plates. There is seating all along the bar as well as at a few tables that have been crammed in at strategic places. There are also several wine fridges lining the wall opposite the bar. The restaurant used to be owned by Pierre Jancou but he has now moved on to new projects. I had not read up on the new chef before but being seated at the bar and having the chef take the orders for us I right away heard the unmistakable Swedish accent. The new chef is indeed Swedish, Svante Forstorp , but while relatively new at Vivant Cave he has plenty of experience from before for example from Aux Deux Amis. He makes some lovely small dishes behind the counter, the limited space does not seem to bother him at all. Not only is the food very good, it is also great to watch him at work. I am of course a bit of a sucker for the open kitchen but I am a firm believer that it keeps restaurants honest. We opted for a selection of different dishes but among the highlights were the asparagus, the spicy pasta (chili and fresh lemon) as well as the smoked foie gras with cabbage. The place is known to have a good selection of, in Paris so trendy, natural wine and we were rather pleased with the wine recommendations. 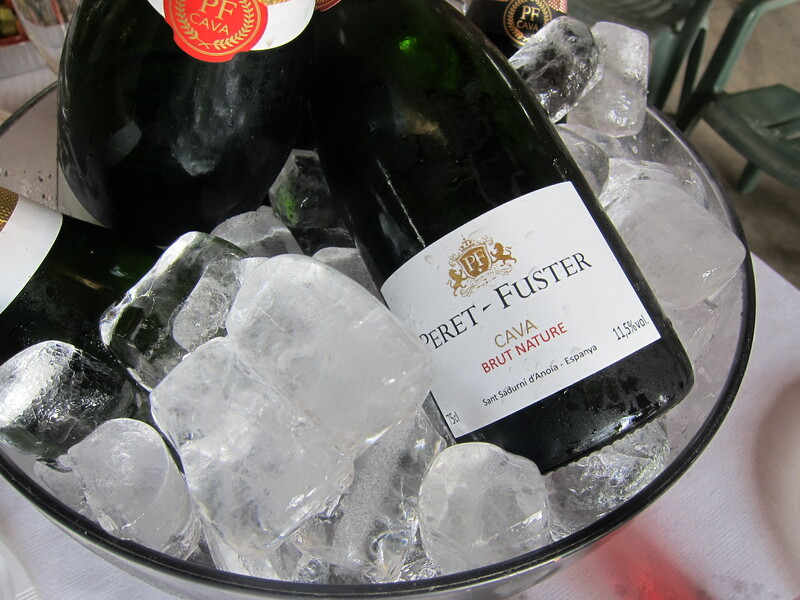 We tried an lovely Brut Nature champagne from Ruppert-Leroy as well as an excellent Austrian sparkling from Strohmeier as well as some nice reds – the reds were very different, one extremely light while the other was much darker and fuller. I think the picture gives a pretty interesting comparison. Service was in general very attentive and the staff were happy to explain the all-French menu to us. 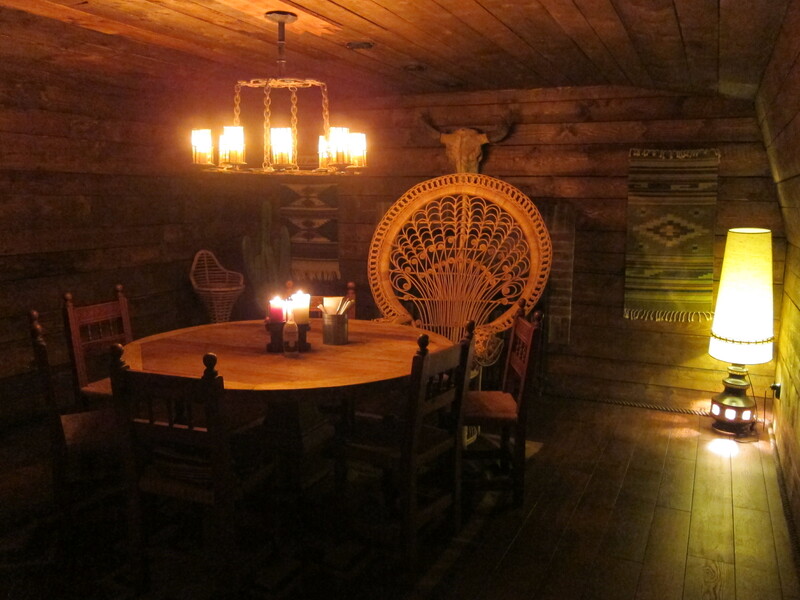 I also very much liked the pleasant atmosphere here, staff were relaxed and that made guests relaxed as well. We ended up chatting with people seated next to us at the bar and it did really seem very popular with foreigners visiting (we had Danes, Brits and Americans around us).The price level was rather decent as well, not exactly cheap but definitely value for money. Will be on my list for places to return to if in the area. The visit at Oriole in the CBD was somewhat of mixed cup. The service was amazingly friendly and they were really happy to chat about the coffee and the staff seem very knowledgeable about it. The quality of service was also a surprise as a location like this usually struggles to keep that level of service, so really pleasant from that perspective. Unfortunately the quality of the actual coffee did not at all match the talk. First a bit about the location though, it is in a mall and office building so not exactly a charming location but they have done their best with the space. There are some really nice seats (the booths) and some decent comfy chairs but the also a lot of more cramped tables and chairs close to the counter. If you are able to snag one of the comfy chairs or booths it is however very nice to sit here for a longer period of time. Wifi was now also available but it was not working that great so perhaps still more a space for a quick cup on the go. It is also clear that it largely caters to a lot of the office workers around here. With that in mind it is also a good place to come after the morning rush but before lunch or in the afternoon as the place then is much calmer. The coffee sampled was not great. The filter coffee was seriously over-extracted so not at all good enough. The cold brew suffered from a bit of bitterness but was drinkable but not something I would go out of my way to find. The espresso based beverages delivered best quality here as the milk masked imperfections. I would not really be back for the coffee but it would do if in a pinch and I would then opt for something with milk in. In this area I would however rather walk a few blocks to either Jewel or the New Black. The food was however better and perhaps they are more focused on breakfasts and lunches for people working around here (and possibly lattes for them as well). The breakfast items were good and the lunch dishes looked nice as well so clear that this outlet of Oriole is more focused on catering to people working around here and not so much on high quality specialty coffee. For a better Oriole coffee experience I would opt for the location in Pan Pacific Suites. If you don’t count Monday, this has been a pretty quiet wine-week, at least when it comes to drinking wine. Perhaps we overdosed, in terms of tasting not drinking, in Paris and Reims, and this weekend we have just had a few glasses. However, I still have a lot to share with you from last Sunday in Reims and also some news regarding our company. 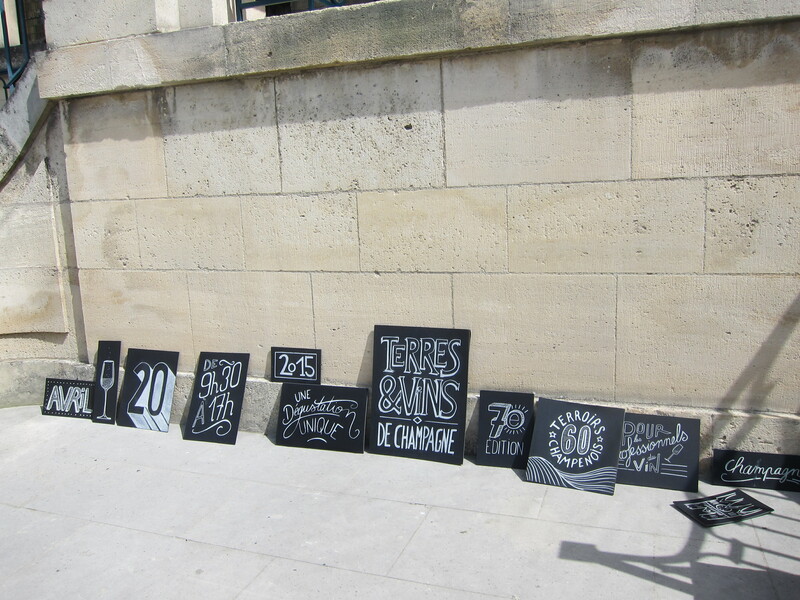 As Paris seemed to quiet down for the Sunday, we headed to Reims a day before the Terres & Vins event. 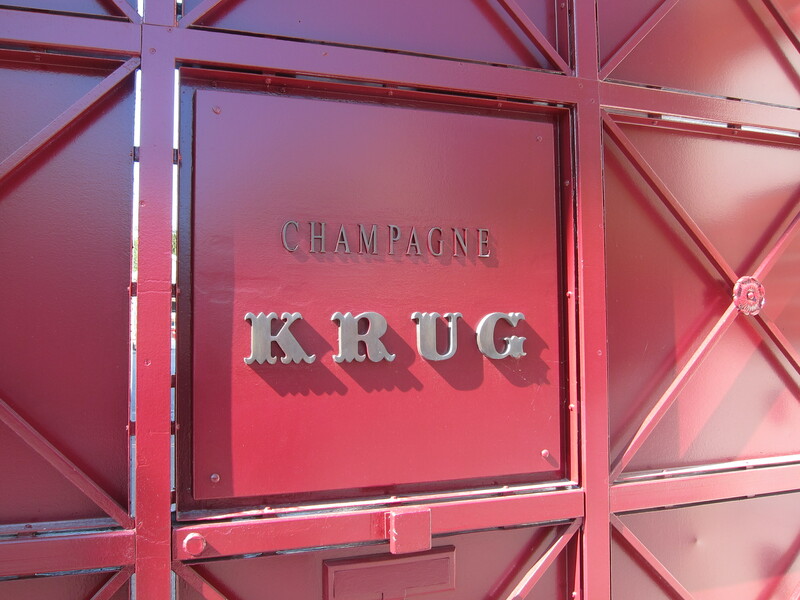 A few big champagne houses had their doors open and we decided to take a tour or two, just to see how a big producer is organized, and well, to taste a few glasses of champagne. We basically had three, decent ones, to choose from: G.H. Mumm, Tattinger and Vranken Pommery. As Pommery charged close to 70€ for their tours with any decent tasting options, we opted for Mumm, one of my old favorites. 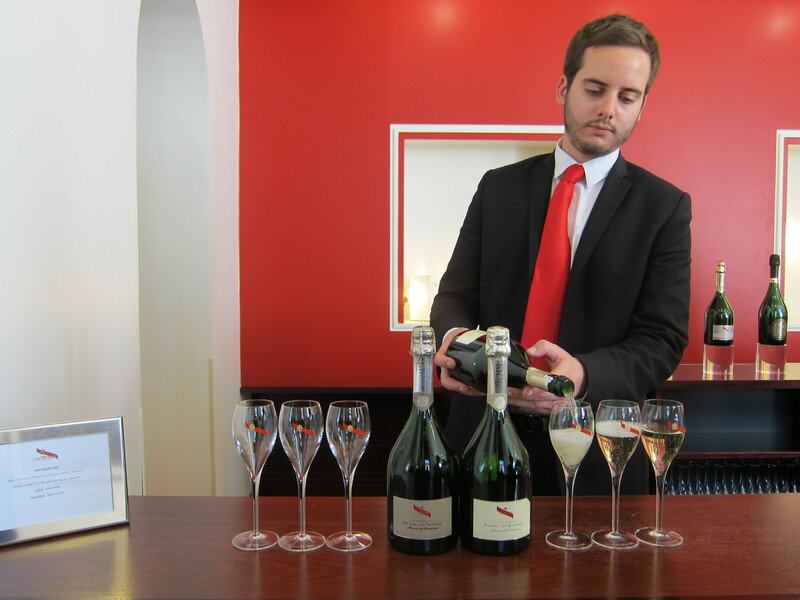 Luckily our hotel Mercure also had a nice discount for the tours, so we got a significant reduction for the Blanc & Noir experience which was a tour through the cellars and a tasting of two champagnes: the blanc de blancs and blanc de noirs (25€ per person). 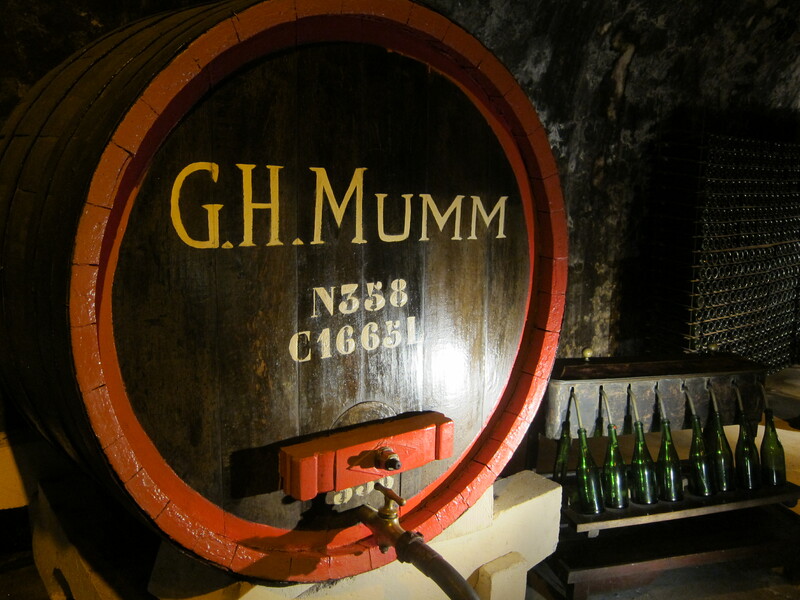 We were already familiar with Mumm de Cramant, the 100% Chardonnay champagne (review here), so our expectations were high. 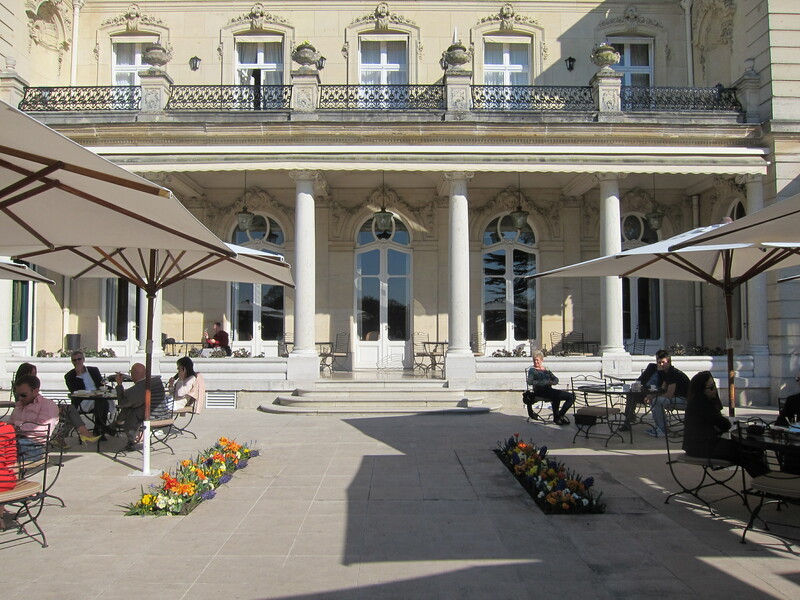 After touring at Mumm, we walked around in Reims admiring all the beautiful champagne houses and headed for afternoon bubbly at Les Crayeres, a beautiful mansion hotel with supposedly a great champagne bar. We had heard some good things, but after the disappointment of the much hyped about Bar 8 (Wineweek 22) we were cautious with our expectation. However, Les Crayeres did not let us down. The bar was absolutely beautiful with a lot of light and plush sofas. We had our drinks in the garden, which was like a scene from a movie with an international and happy crowd sipping wine. Les Crayeres also has a two Michelin star restaurant, which was to our disappointment fully booked (we tried making reservations earlier in the week). To compensate, we had to go to the town three star instead. 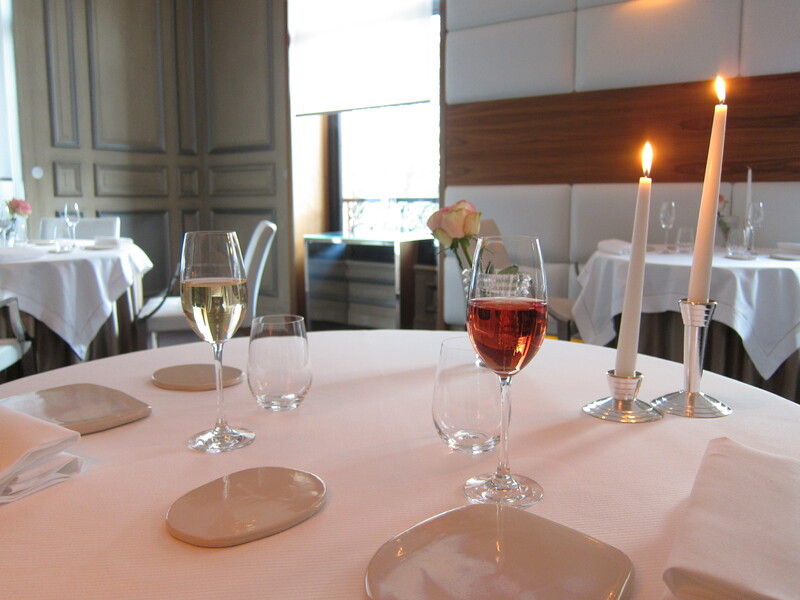 Sunday evening we headed to L’Assiette Champenoise, the three star restaurant of Arnaud Lallement. We don’t go to such extravagant places that often, but I have visited a few three star restaurants before this one. It is always a small investment to eat in such a place, but you pay not only for great food, but an experience. I will write more about the the restaurant later, but to describe the evening with a few words, the service was not as impressive as I have seen at many other starred (especially three starred) restaurants. Perhaps it was speaking English that made some of the staff uncomfortable. However it was nothing to really complain about and the food was out of this world. That is about it regarding Reims, and now to some good news regarding our company. We will be taking in at least four new producers this spring: Rimarts (Cava), Quinta do Escudial (red and white), Antonio Madeira (red) and Quinta da Pellada (red, rosé and white). Orders to our Danish warehouse have been made and we will open for orders of these in mid May. This is a perfect time to stock up on wines to enjoy over summer vacation. We are also waiting for order confirmation from a fifth producer, but more about that when we have some certainty. It feels wonderful to be able to extend our selection. Of course we will also continue to have our trusted Llagrima d’Or and Peret Fuster wines for sale. 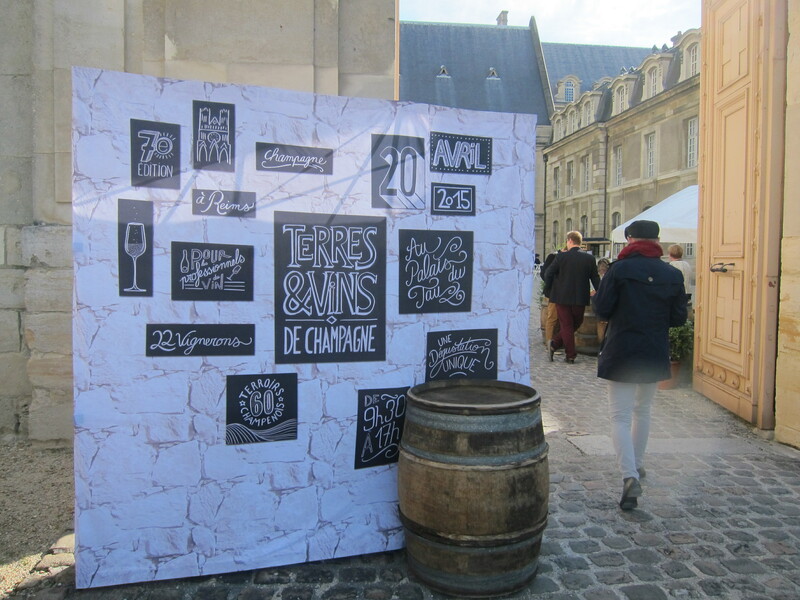 There have been few events this year that have excited me as much as Terres et Vins, the grower champagne festival in Reims France. It is a cooperation between 22 small and medium-sized champagne houses that manage the production process from growing their own grapes (100%) to labeling their own wine, arranging an event for wine professionals (restaurants, wine merchants, journalists, blogger and other wine professionals) from around the world to taste their wines. 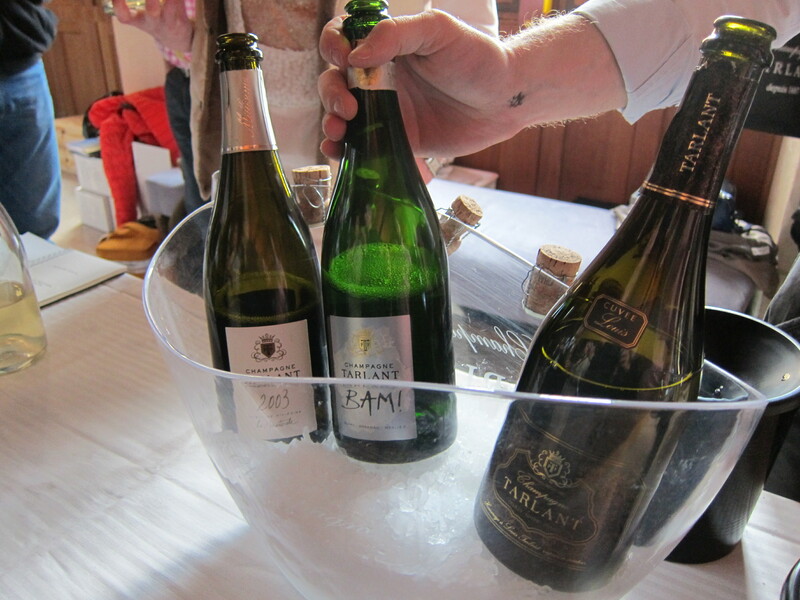 All of the producers had selected around three champagnes and three vins clairs (the base wine that is used to make the champagne) to be tasted at the event. Perhaps if you are a friend of sparkling, you can imagine why I was so hyped about it. 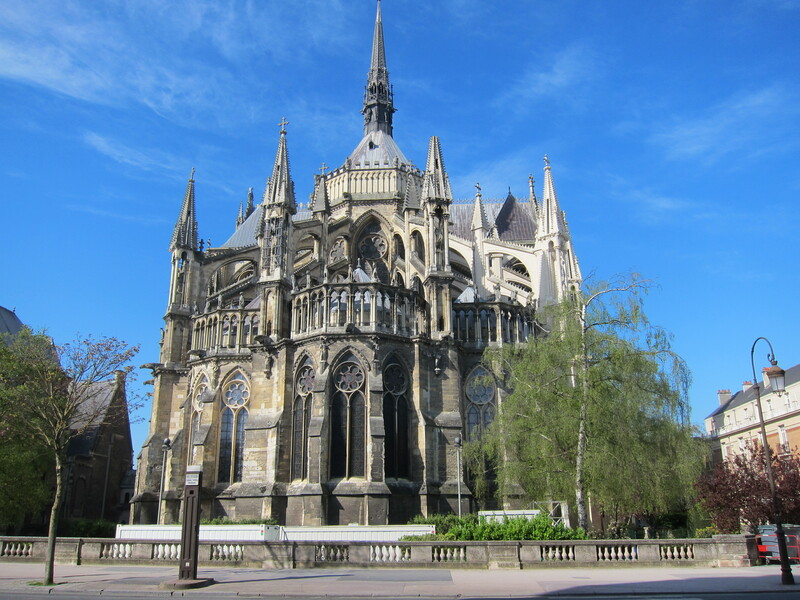 When arriving at Palais du Tau, an old building next to the Reims cathedral, the place was already buzzing with people swirling, slurping and making notes. The producers only had a few meters of space each, and there was continuous movement in between the tables and the spitting bowl. The sight was slightly daunting, but we pushed our way through to the first table. We had a plan: it was to taste all of the champagnes, but skip the vins clairs as these are a bit more complex to taste and we felt that it was perhaps to much for us to try to taste 60+ vins clairs. Here we were clearly out of our league. 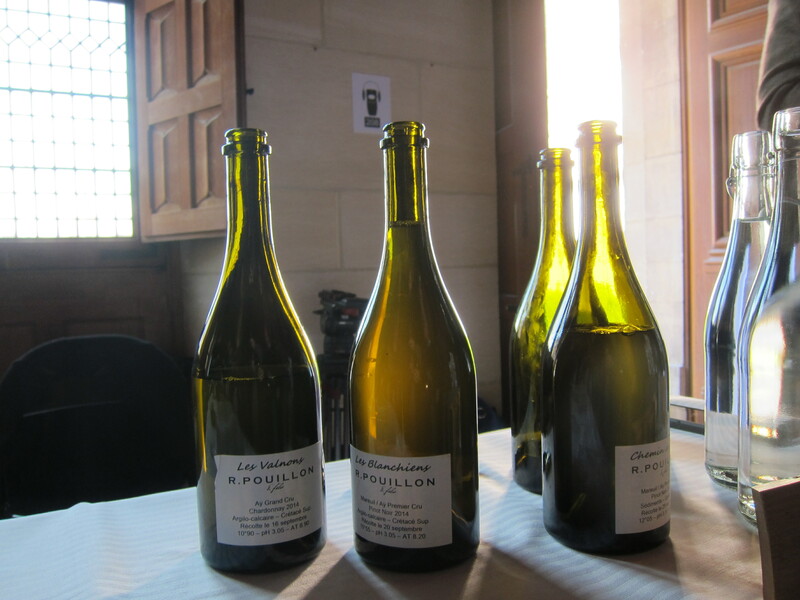 Tasting vins clairs is an art of its own and challenging as the young wines are fairly acidic. However, after we had reached the halfway point, it was quite clear that our relatively unaccustomed taste buds where not up for the challenge. 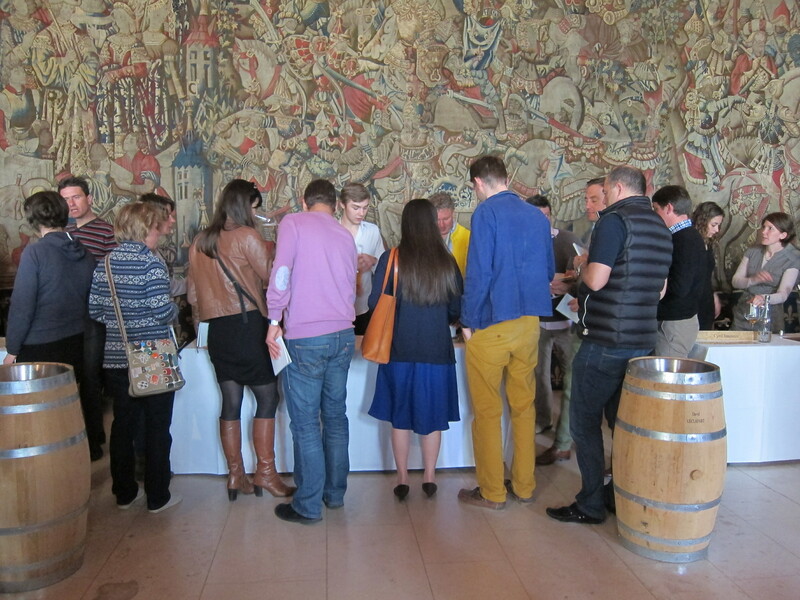 We soldiered to the finish anyway, tasting all together 60 champagnes and 3-4 vins clairs (just to have a try at it). However the second half of the tastings is a bit of a blur and I cannot really trust that I got everything out of the wine that I would have if it was the first sip. Next time, we will make a better plan, that will then be not to try to over reach and rather focus on the 20-30 wines we want to taste rather than try to go through all. I will not write about every producer we met, but rather mention a few special ones that we really enjoyed. Just to be clear, all of the producers were very good. 1. Francoise Bedel is ‘The’ producer that really got us into grower champagne. The wines are fresh and minerally produced 100% biodynamically. They are also low in dosage (residual sugar), only 3-4g per liter. We tried the “Vin Secret”, Entre Ciel et Terre (available in the Monopoly) and L’Âme de la Terre 2004. 2. Olivier Horiot, one of my absolute favorite champagne producers. He is a prime example of a next generation of “rebellious” producers making wine in his own way. His champagnes are like premium white and rose wines spiced with bubbles. We tasted the Métisse, Seve Rosé de Saignée 2009 and the 5 Sens 2010. If it has not yet become clear in this blog, 5 Sens is one of my favorite wines (in the world). It is a mix of five grapes (Pinot Noir, Pinot Meunieur, Chardonnay, Arbanne and Pinot Blanc), five soils and five barrels. It is a wonderful mix of white fruit and deep underlying earthiness. 3. Fabrice Pouillon is a new acquaintance. He uses sustainable agriculture to grow his vines. He believes in a natural order of plants and bacteria letting the green around his vines grow. This, he believes, is reflected in his wines via a healthy terroir. He is definitely on to something as we were vastly impressed by his Champagnes. Especially the Les Valnons 2007 was one of our favorite champagnes of the entire day (we also tasted it during the first half of the day when we our taste buds were much sharper). 5. Vincent Couche, certified biodynamic since 2008. He farms his Chardonnay and Pinot Noir in southern Champagne in the Aube. Couche’s approach to Champagne is more in line with traditional Burgundian wine making – small parcels kept separate, high-density plantings, with a focus on wines of terroir (a sense of place), rather than wines that are blended to a “formula”. We tasted the Chloé Extra Brut, the ADN Montgueux 2009 and our favorite of the bunch the Reserve intemporelle (66% Pinot Noir, 34% Chardonnay) which is not yet available to buy. Can you see a pattern here? Biodynamic, terroir and low dosage. I have been previously haunted by the low-ish quality of the biodynamic sparklings (mostly Cavas) I have tried. 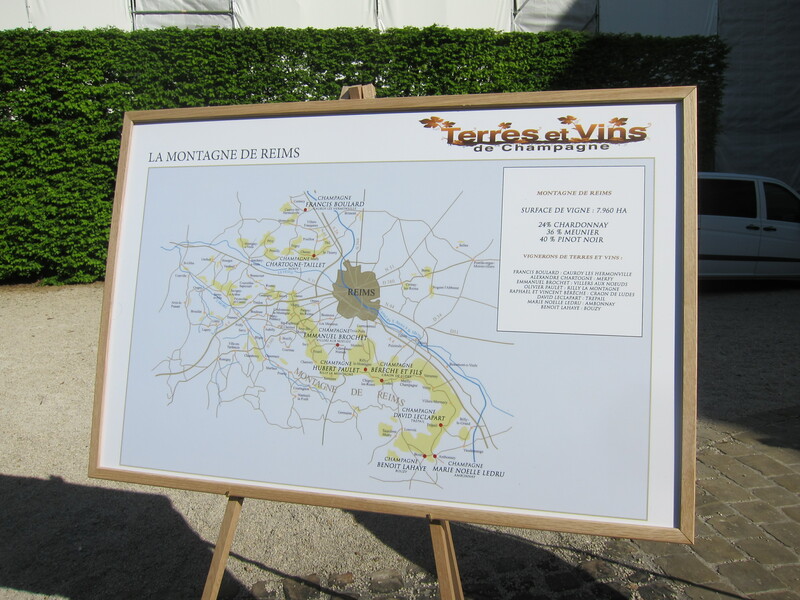 But Terres et Vins really convinces me of the contrary. The honest earthy flavors of all the producers at the event make me think that there is more to the the talk of terroir and letting the vines do their job without too much interference. All in all it was a wonderful day. All work, no play, but when you love your work it’s ok. 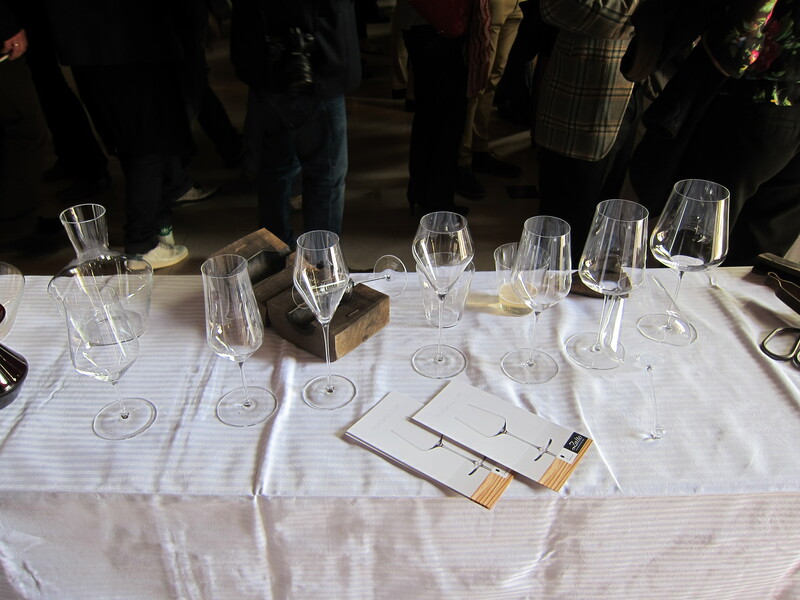 If you don’t count the small space (for each producer) the event was well organized with nice glasses from Zalto for tasting and cute notebooks with all of the wines that were on display. 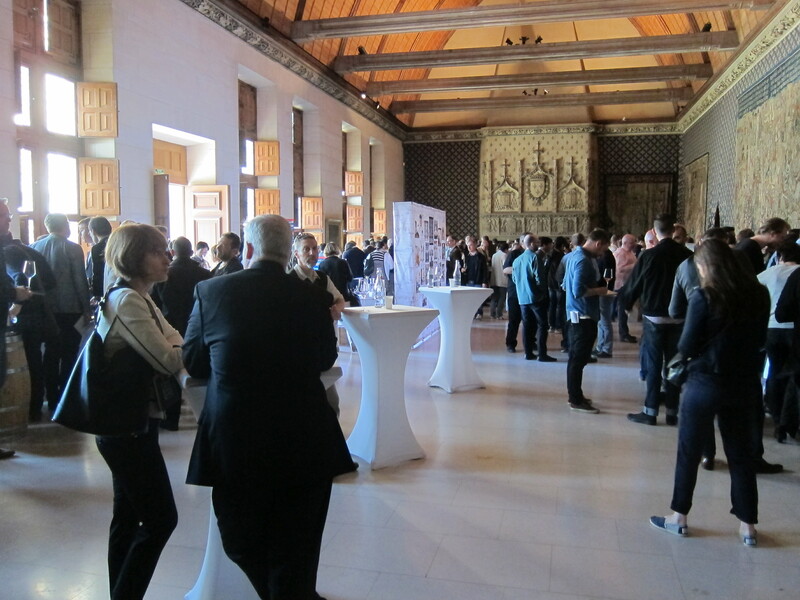 We also discovered that the festivities continued for the next few days with other tasting events, so we should have stayed in Reims the whole week. However, we were quite done with sparkling after the day, so I need to practice more before I can do several days of tasting that much bubbly. There are a lot of nice recipes and wine recommendations on her blog so well worth a visit (or why not two, three or more). Link the person who nominated you to your blog post and let them know you answered their questions. Nominate other bloggers for the award that have fewer than 200 followers. 1. What was the catalyst for you to become a blogger? The idea behind our blog was to share our journey of starting a wine business (with very little industry experience) in the monopoly driven Nordic countries. We also wanted to share our passion with interesting recommendations on wine, food and coffee. 2. Do you prefer books, magazines or e-books and why? I must say that there is something special with a real book. I like the browsing, flipping of pages and that it somehow feels more real than an e-book and more lasting than a magazine. 3. Favorite champagne glass – flute or coupe? 4. Item in your kitchen you can’t live without. 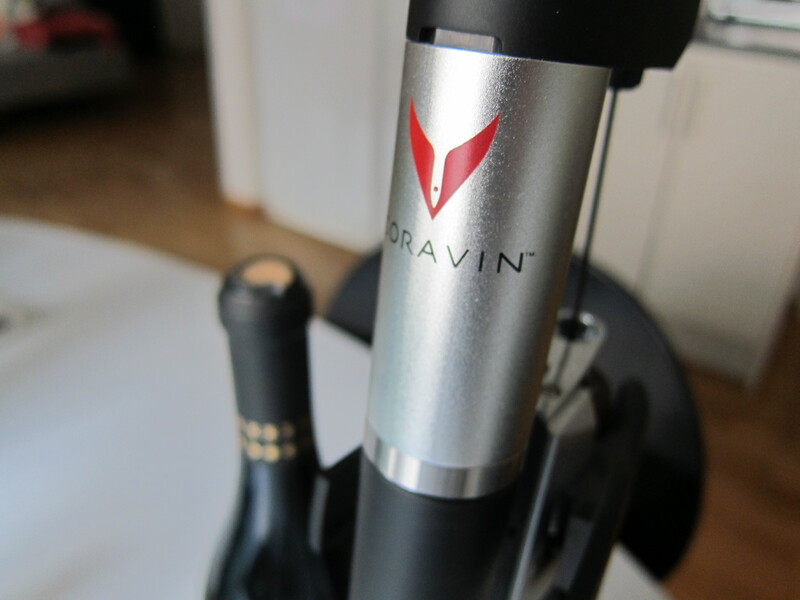 The Coravin. It is the best wine-investment ever. 5. Where do you go to relax? I love to sit on the balcony (all Finns do), with a cup of coffee and look out at the water. 6. Advice for a beginning blogger? Decide what you want to achieve with the blog, make it clear what topics you will cover and stick to that. 7. Who inspires you to continue blogging and why? All the great bloggers out there. 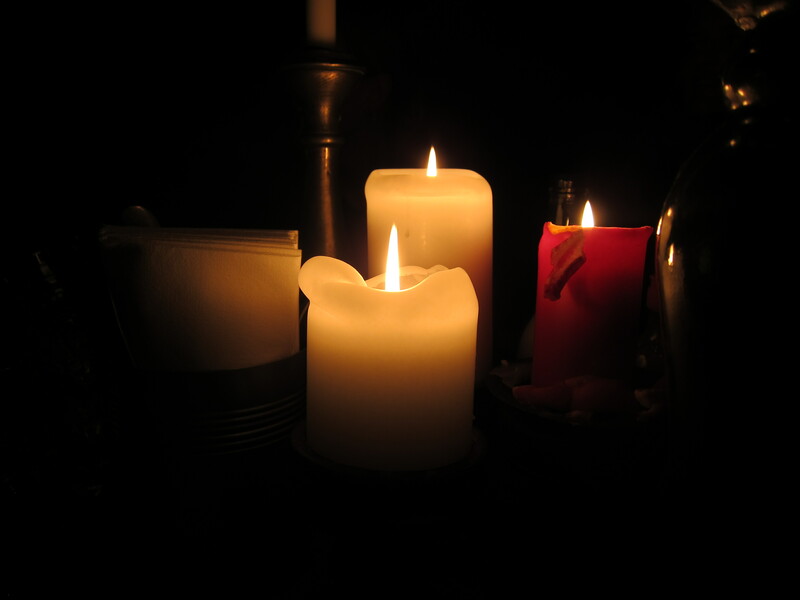 It is one of my favorite things on quiet moments to read some blogs and gather inspiration. Bloglovin is a great app to keep up with whats happening on other blogs. One of the big inspirations is Talk-a-vino who has an excellent blog where he manages to write about wine in an inspiring and knowledgeable way without sounding snobbish. 8. Favorite food and wine pairing? Will go for the fun recommendation from champagne guru Richard Juhlin and say champagne with bacon and eggs. Nice dry sparkling wine, currently it would likely be the Rimarts 40 month Gran Reserva. Rimarts is a wonderful Cava producer that will also be featured in our selection this summer. 10. 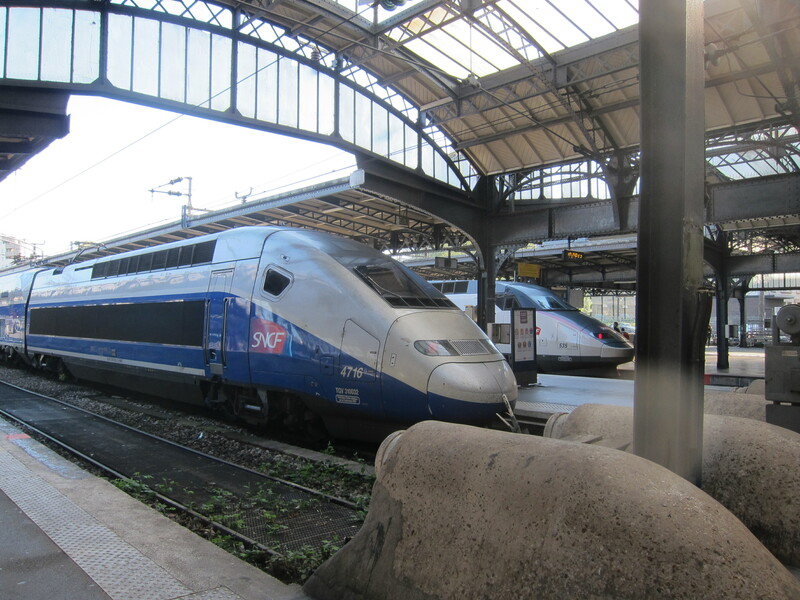 Where would you like to travel that relates directly to your blog? I would like to do a proper tour of Sonoma and Napa. Our last trip was just a scretch on the surface and tasting all the great wines from the region makes me feel California has so much to offer. 11. What is the best meal you’ve ever eaten? The tasting menu at the Ledbury in tough competition with the New Year’s Eve tasting menu at Kitchen Table. Both wonderful restaurants in London. 1. Which country is your favorite wine country? 2. What other blog would you recommend in addition to your own blog? 3. If you are not drinking wine, what are you drinking? 4. What is your favorite wine accessory? 5. Name your favorite wine bar and why it is your favorite? 6. What was it that made you interested in wine? 7. What is your goal with blogging? 8. For your last meal ever what would you like to have? 9. What is your favorite sparkling wine? 10. How many bottles of wine do you have at home? 11. What is your worst wine purchase ever? I must confess, I have never been a true fan Bloody Mary. Tomato juice and celery, not my favorite combination and I have not always been convinced that it actually does much to balance (or hide) the flavor of alcohol but sometimes rather enhances it. However, as I have discovered with many drinks (and foods), it is not until you actually taste it ‘well made’ before you realize that you have been wrong all along. 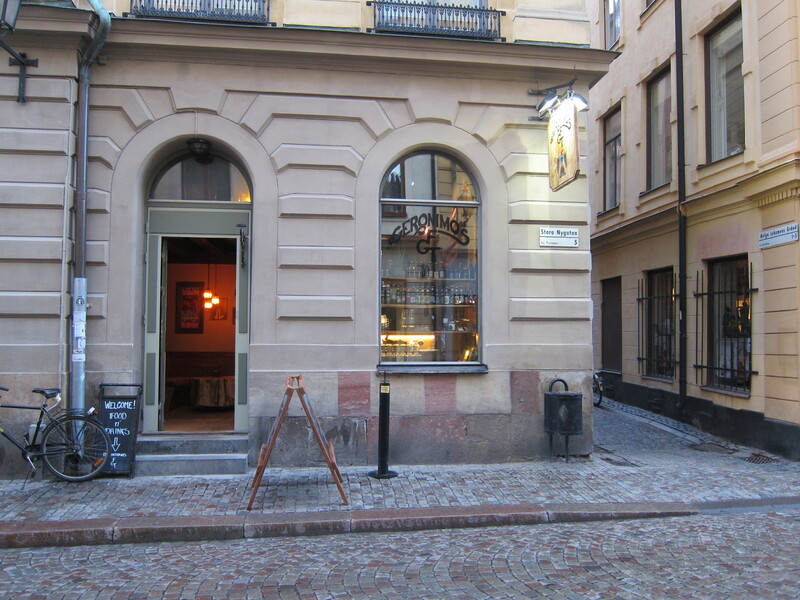 A few weeks back, I received an invite from my friends at Yelp to join them for some cocktails an early evening at a bar, Geronimos FGT, in the old town of Stockholm that is, trying at least, to build a name for themselves with among other things an excellent Bloody Mary. Despite the choice of drink, I went, as it is the good company that was most important. Also, I heard some rumors that Geronimos Bloody Mary is well worth a try. 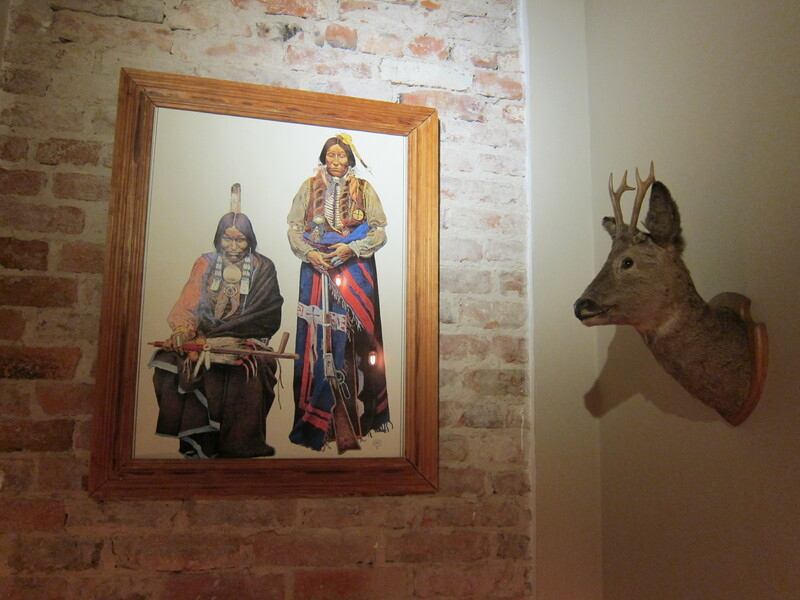 The bar is underground, decorated with stuffed mounted animals and other ornaments from the prairie. There is a lot of space to sit down and even a nice chambre séparée, so this place is good for groups. 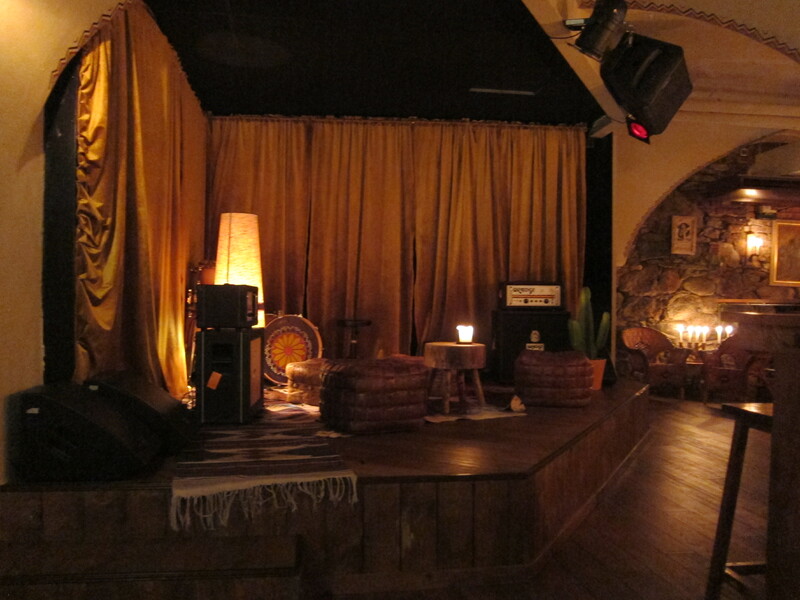 A stage in the corner suggest that there are also bands playing now and then. All in all a nice looking bar, not perhaps my style, but still nice. The menu is some sort of mix fast food Mexican and American food with some inspiring details. There is slightly more effort put into using herbs, spices and good produce than at the your average taco stand. However it is still simple enough dishes for an honest after work meal. We ordered one Bloody Mary special (a Bloody Mary with a hamburger sticking out of it – yes, you read it right, a hamburger), some tacos and a burger. We also tried the Mexican Mule (a tequila-version of a Moscow Mule). The cocktails were great! The Bloody Mary tasted like a spicy gazpacho and the Mexican Mule was fresh with lime and ginger. To my disappointment, the Bloody Mary started tasting a bit too diluted after a while, I think it had a bit too much ice in it and it was perhaps not properly mixed as the alcohol flavor came through strongly at times . Next time round I will have a Virgin Mary as I think it will actually be tastier. The food was as expected, good but not great. Value for money wise it is ok for Stockholm, but be aware that some of the dishes (like the tacos) are quite small. All in all mission accomplished: my feelings towards Bloody Mary have perhaps softened a bit and I am curious to try out some more if I see potential. So please don’t be shy to share all of your favorite Bloody Mary hangouts in the comments box. I heard of some place in New York that had a stick of crispy bacon accompanying the celery in the Bloody Mary. That sounds awesome! What comes to Geronimos, I might be back. 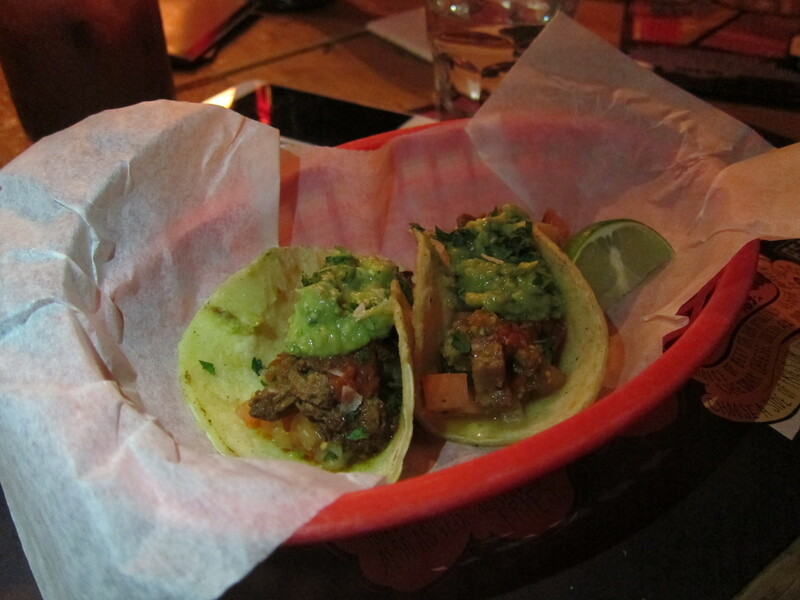 Taco Tuesdays, with 25 SEK tacos, sounded like something that could tickle my fancy. Frenchie Bar à Vins is the more casual ‘cousin’ of the more upscale Frenchie Restaurant across the street. The bar has a no reservations policy and it is rumored to be crazy busy all the time. We therefore headed there not at all sure to score a seat. However, arriving around 10 minutes before opening time there was a not too long of a queue outside so we happily stood there and were seated at 7pm. The waiter later explained that they just recently started staying open in Saturday and Sunday so not that many know about it yet. So we were just lucky. The bar has a very relaxed atmosphere and it does to some extent remind me a bit of José in London. However, Frenchie is a bit more of a proper sit down meal as there are quite a few high tables, with chairs, so not that many people standing around. The food is all made to share and it is some sort of mid-sized or larger tapas dishes so a great way to sample many things. It is clear that they have a lot of international guests as well as the menu is also available in English and the staff speaks English. The wine list is interesting: a lot of French wine as can be expected but also some well picked international ones mixed in there. The selection by the glass is also pretty good with 6 reds, 6 whites, 2 sparkling, 1 rosé and 1 sweet (as well as some beers). Surprise, surprise we started off by sampling the sparkling wine. The champagne from Pierre Gerbais was very much what I would have expected and that was not bad at all. The Crémant de Limoux (Domaine Les Hautes Terres, Joséphine) was however not all what I would have expected. The nose of it was not that appealing but when tasting it I was really pleasantly surprised. It had a very elegant mineral taste and it just paired perfectly with our first dish, the terrine. Before going more into the food we also sampled some of the other wines, a pleasant Pinot Noir as well as red from Languedoc. Neither of these were bad but also not extremely memorable. The food was really something extraordinary here, the start was a terrine and after that we had a very fresh ricotta tortellini with a pea sauce. Greta refreshing dish that really made me want more. That was followed by a ragu of tender lamb with pappardelle, the flavors were perfectly matched and the meat so tender that it just melted away in my mouth. At this point I was really starting to build up expectations for the dishes to come and when the chicken with asparagus and mushrooms came in I was amazed that it was also so great, this actually competes for the best chicken dish ever but after considering it both S and I still hold the chicken we had at Hedone in London as one small step above. Still it was a wonderful dish. We were now actually already full but we could not say no to a dessert (we did skip the cheese, but they do have some nice British cheese from Neal’s Yard) and went for a fresh coconut dessert with chocolate surrounding coconut and a creamy crust on top. After all that food we were full and very happy. The service was very friendly and they could make good recommendations for the wines and it was possible to have some proper discussion about the wines and the staff actually all appeared to be knowledgeable about the wines on offer. The only drawback was that the service was a bit slow, I am however not sure if it was too slow. The dishes did not come quickly but I also believe that it is nice to have some time between dishes, and here I believe they were just within the limit of what is acceptable (I did however see some people waiting longer than us, and 30 minutes between dishes is too long when there are at least 4-6 dishes). All in all I was however very pleased with the quality of food, prices were reasonable, the mostly organic wine selection was also great so this is without doubt one of the top places, on my list, for food and wine in Paris. It also seems very good to head there on Saturday or Sunday as it is not yet that well-known that they are actually open then as well.